Catarina is part of our exclusive Bespoke collection, tailor-made to your exact requirements, and will make a welcome addition to any modern living space. Its clean, understated contemporary styling is perfectly tailored in a fashionable selection of on-trend luxurious fabrics to make a real statement. 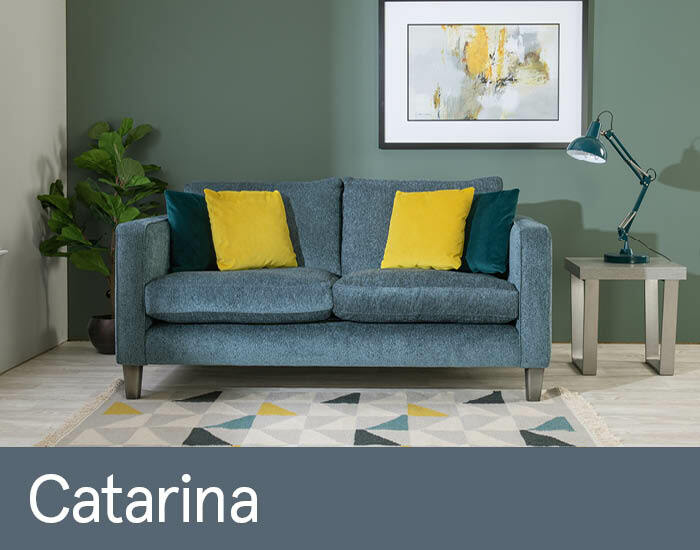 Sit back and relax in complete comfort with Catarina’s indulgent, plump fibre-filled cushions and fully sprung seat platform.